Emily Scott Robinson will lead a class on songwriting and how to express oneself through music. She won the Grassy Hill New Folk competition at the Kerrville Folk Festival in 2016 as well as winning first place in the 2015 and will be working with attendees on how best to translate their emotions into songs both personal and narrative in style. 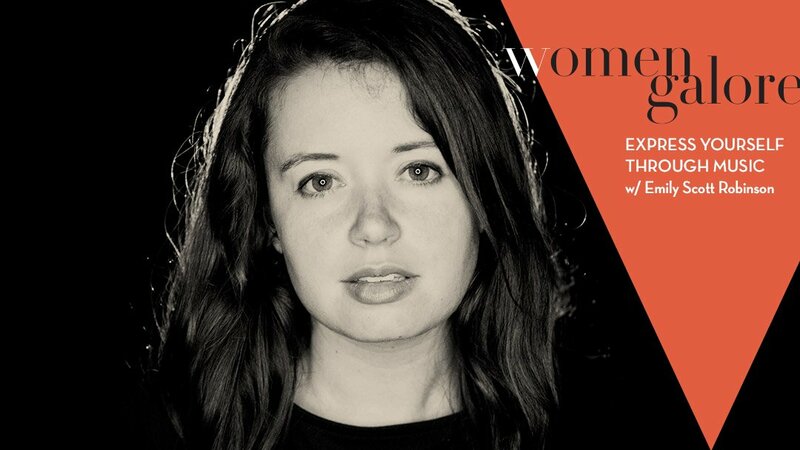 Come learn from one of Texas’ best new voices in the world of folk music. With a clear, sweet voice, Emily Scott Robinson will leave you breathless with songs that are both heart-wrenching and dark, playful and surprising. She writes with raw lyrical power and authenticity, enchanting audiences with an intimate performance every time. In 2016, Emily won the Grassy Hill New Folk competition at Kerrville Folk Festival. She also received an Honorable Mention in the 2016 Telluride Troubadour Contest. In 2015, she won first place in the “American Songwriter” May/June Lyric Contest, as well as an Honorable Mention in the Rocky Mountain Folks Festival Songwriter Showcase. Emily released her debut album, Magnolia Queen, in February 2016. She is currently touring full time, living on the road with her husband in their motor-home, writing and performing across the country.